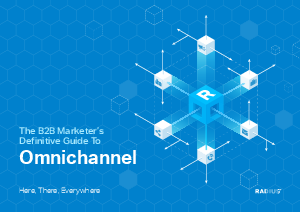 Omnichannel marketing doesn’t need you to reinvent the wheel. It’s just the next step in the natural progression of modern B2B marketing - marrying buying behavior with brand experience. We’ve seen Omnichannel Marketing in action across a wide range of companies and we’re convinced that marketing teams need to move to a customer-centric model.